Phil Ackland’s Inspecting Commercial Kitchen Systems Course will help you understand the fire codes and standards for commercial kitchen systems including but not limited to NFPA 96. This course has been certified to issue ICC and Insurance CEU’s upon completion. 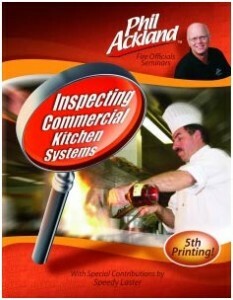 Learn how to inspect commercial kitchen exhaust and fire suppression systems. The reality is many systems are improperly installed and maintained. Identifying these areas will help inspectors prevent fires. This course is designed for fire prevention officers, building inspectors and designers. 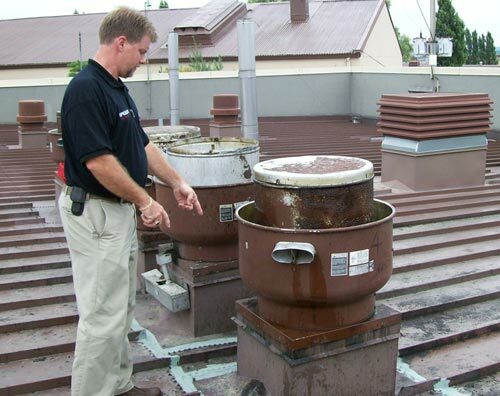 This course takes you virtually into commercial kitchen systems and onto rooftops to show you code deficiencies. By the end of the course students will be able to identify and evaluate common fire hazards in commercial kitchen systems. Guest speakers cover topics of special interest (available on a per course basis). 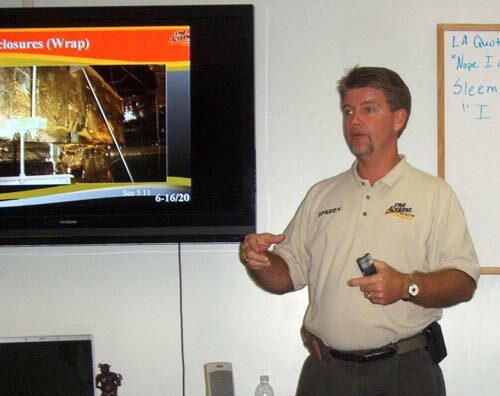 Provide a basic understanding of how exhaust systems are constructed, installed and maintained. Identify parts and function of common commercial kitchen exhaust and fire suppression systems. Provide a basic understanding of codes and standards: NFPA 96, IMC, UL 300 and other code requirements. Demonstrate how to inspect systems for the most critical problems. Identity what the authority having jurisdiction should expect from fire suppression service providers and kitchen exhaust cleaners. This special course companion book provides participants with a practical guide for future reference.